Alexis is using Smore newsletters to spread the word online. It is illegal to produce, posses, and use opium. The reason it is illegal is because it causes many problems to the body after using it. The opium drug is the dried liquid obtained from the opium poppy. Opium is a brown/blackish addictive drug prepared from the juice of the opium poppy and it is used as a narcotic and is also, an opiate. It typically is in a powder from. Opium can be used in many different ways. 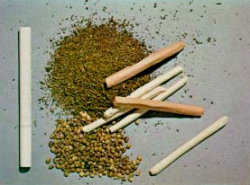 The most common way opium is consumed is by smoking but it can also be eaten, drank, or injected. People use this drug as a depressant (which slows down everything in you system). 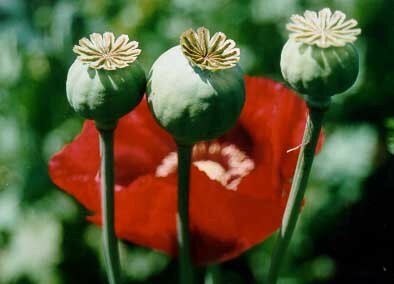 -opium is used in the making of many other drugs (eg. heroine, morphine, etc). Locally/Nationally- opium is used in the production of other drugs (such as, heroine and morphine) this then makes these drugs more addicting for people abusing those drugs in Canada. International- historically Chinese people use opium for their rituals. They made opium more common. The consequences of addiction are that your friends and family would leave you because they are not happy with your choices; your marks would go down in school because you are always going to be late and miss class because you are high. You would most likely lose your job because you would constantly come late and you would be financially unstable because you spend all your money on drugs. You would be emotionally and physically unsteady and insecure because the drug is destroying your body. If you have a drug addiction there a re rehab facilities available all over the country. Also, you could take part in Narcotics Anonymous, which is a free program, available to all that wish to stop abusing drugs. Another possible way of receiving help, could be to call help lines that are set up to help drug addicts (eg. 1-800-565-8603).